By Ed Fast. The strong Canada-Korea partnership has evolved over many decades based on our shared values of freedom, democracy, respect for human rights and the rule of law, and a commitment to free market economic principles. In the late 19th century, Canadian missionaries James Gale and Francis Schofield both left a lasting impact on South Korea, especially in the field of education. In fact, Dr. Schofield is one of South Korea’s national heroes and is buried in its national cemetery. More than 60 years ago, Koreans and Canadians fought side by side and shed their blood for the cause of freedom during the Korean War. During my trade mission to South Korea this month, I will visit the United Nations Memorial Cemetery in Busan to pay tribute to those who lost their lives defending democracy and freedom. Since that fateful war, we have witnessed a remarkable economic transformation which propelled South Korea into the ranks of the world’s most prosperous, developed and technologically-advanced nations. Korea’s global conglomerates now anchor key regional and global value chains. Many of these companies – like LG, Samsung, Kia and Hyundai – have become household names in Canada and around the world. And I could not agree more. On January 1st, 2015, Canada’s longstanding friendship with South Korea reached new heights with the coming into force of the Canada-Korea Free Trade Agreement (CKFTA). This agreement will indeed strengthen Canada’s economic ties with a like-minded and complementary partner. The centrepiece of the agreement is, of course, the elimination of tariffs on almost all products traded between Canada and South Korea. This will translate into thousands of new jobs and deliver concrete benefits and opportunities for our manufacturers and exporters, making their products more competitive and creating the conditions for increased sales. At the same time, let’s not forget Canadian and Korean consumers, who will have more choice and pay lower prices for the products they purchase every day. Beyond tariffs, the agreement also contains a wide range of commitments in areas such as services and investment, government procurement and intellectual property that were identified as a priority by our stakeholders. We fully expect that the CKFTA will markedly increase our bilateral investment flows. It is no exaggeration to suggest that the CKFTA will forever transform the way our two nations do business together. That is why I am so pleased to lead a large multi-sector trade-mission of more than 100 Canadian business leaders to South Korea next week. Participants representing a variety of sectors – forestry and value-added wood products, sustainable technologies, advanced manufacturing, information and communication technologies, consumer products, aerospace, fish and seafood, agriculture and agri-food – will travel with me to Seoul and Busan to tap into the tremendous new opportunities this trade agreement delivers. I am also looking forward to meeting with my ministerial counterparts to ensure our businesses on both sides of the Pacific get off to a running start in taking advantage of the CKFTA. Currently, Canada is home to nearly 220,000 people of South Korean origin – the fourth largest Korean diaspora in the world. Over 23,000 Canadians currently reside in South Korea, including approximately 3,200 language teachers. Here in our own country, Canadians of Korean descent make remarkable contributions to every facet of our nation, while nurturing their deep roots in South Korea. It is no surprise that our two countries can call each other “best friends”! Building on that friendship, our government is also pursuing our common interests in education and research by announcing our intention to develop a formal Science, Technology and Innovation Agreement with South Korea. This treaty will be leveraged to increase academic research and industry collaborations in strategic areas of mutual interest. Canadians are immensely proud to call South Korea their trusted partner and grateful for such a valued friendship, one that has allowed us to take our economic partnership to the next level with the signing of an historic trade agreement. The future is indeed bright for our two countries, and I look forward with great anticipation to the prosperity that future will deliver for all of us. This album chronicles the Government of Canada’s journey towards signing the Canada Korea Free Trade Agreement. This landmark agreement constitutes Canada’s first free trade agreement in the Asia-Pacific region and will provide new access for Canadian businesses and workers to the world’s 15th-largest economy and the fourth-largest in Asia. 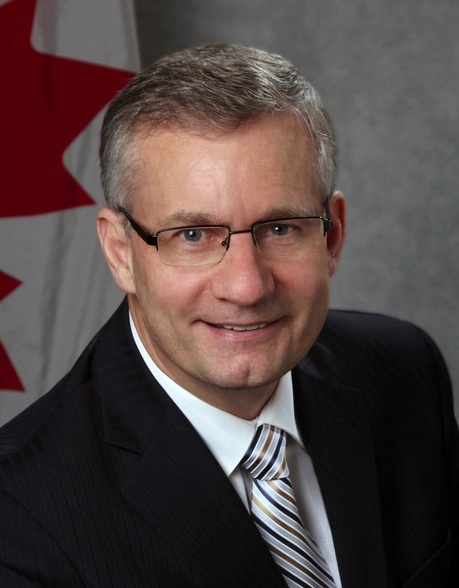 Minister Fast leads a multi-sector, five-day trade mission to South Korea, starting on Sunday, February 8, 2015, with over 100 Canadian delegates. He will be joined by Senator Yonah Martin and members of Parliament Chungsen Leung and Peter Braid. The CKFTA, which entered into force on January 1, 2015, will strengthen trade and investment ties with the Asia-Pacific region, increasing the prosperity of both Canada and South Korea, generating new jobs and enhanced opportunities for Canadian and South Korean businesses, investors and consumers. Minister Fast joined Prime Minister Harper in South Korea to sign the Canada-Korea Free Trade Agreement The Canada-Korea Free Trade Agreement is projected to create thousands of jobs for hardworking Canadians by boosting Canada’s economy by $1.7 billion and increase Canadian exports to South Korea by 32 percent. South Korea is not only a major economic player in its own right and a key market for Canada; it also serves as a gateway for Canadian businesses and workers into the dynamic Asia-Pacific region as a whole.